Brennivín is a clear, unsweetened schnapps, and considered to be Iceland’s signature distilled beverage. Often referred to as “Black Death,” it is a popular special-occasion alcohol shot, and the traditional drink for the mid-winter feast of Þorrablót. On the occasion of its U.S. debut, Brennivín was looking to update their brand. We redesigned the logo, labels, bottle caps, and created collateral brand merchandise, using just enough of the original design to keep their original spirit alive while making Brennivín a contemporary alcohol brand. An important part of this brand refresh was to advocate for the distillery to re-introduce the original clear glass bottle. All labels were switched to uncoated stock. Further, the southwestern island of Heimaey was added to the silhouette of Iceland to ensure that its 4,400 inhabitants were rightfully represented together with their mainland counterparts. This redesign has since been implemented worldwide. 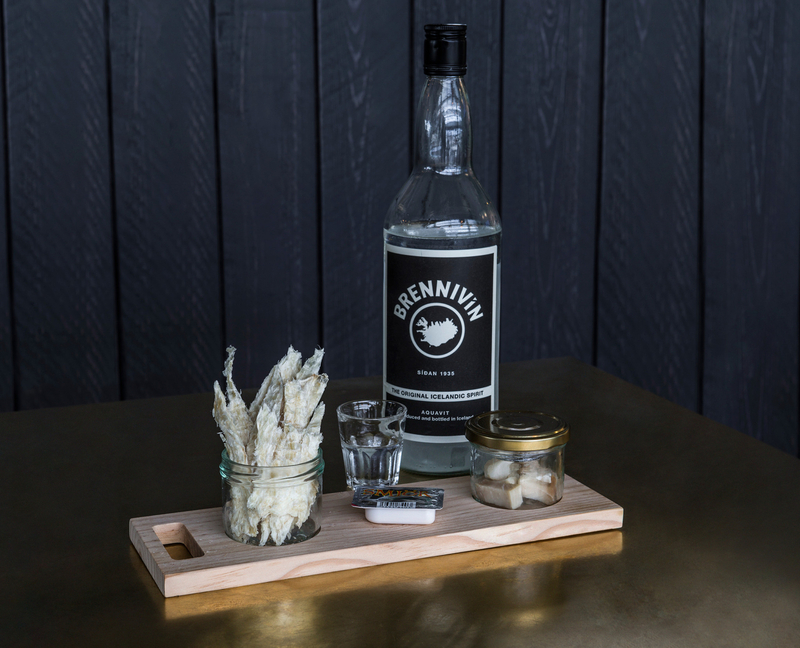 Brennivín, the unsweetened schnapps, is considered to be Iceland’s signature distilled beverage and favorite spirit. It pairs well with fermented shark.